Our Mission Statement: Encouraging mature adults to engage in healthy living, socialization, life-long learning, and community connections. We encourage you to become involved at The Center! Community Connections: We are a drop off site for Marine Corps League Toys for Tots and Home Instead Senior Care Be A Santa to A Senior. Our Legacy Tree is located in our lobby. If you are interested in donating to the Legacy Tree, the funds will be used to ensure we are in existence into the future. Once you choose to donate, a leaf is placed on the tree and it can be engraved with a memorial. If you would like more information, please call DeAnn at 218-454-5056. Call The Center at 218-829-9345 or contact us by email if you would like more information about any of these opportunities. 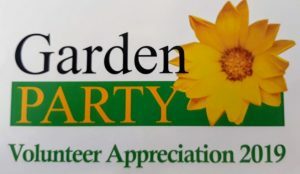 In honor of our volunteers who have donated ten or more hours of their time to The Center in 2018, we are hosting a Volunteer Appreciation Event on Monday, April 22. The magic begins at 5 pm, dinner at 6 pm and entertainment at 7 p.m. The theme this year is “Garden Party.” Dress for this event is hippie to casual. Volunteers will receive a postcard in the mail with a personal invitation to attend. QUILT BINGO – BLING, SHOE AND PURSE SALE TOO! This year’s annual Quilt Bingo is on April 28 beginning at 1 p.m. but come in any time after 11 a.m. to shop our bling, purse and shoe sale. 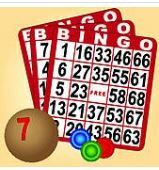 Bingo cards are $8 each and can be used for every game. Every game winner gets to choose a quilt. This is a very popular event so be sure to come early to get a seat and to pick out the quilt(s) you want to win. A lite lunch will be provided when the games are over. This event is open to the public, so bring a friend to share the fun with!